Hey, y'all! 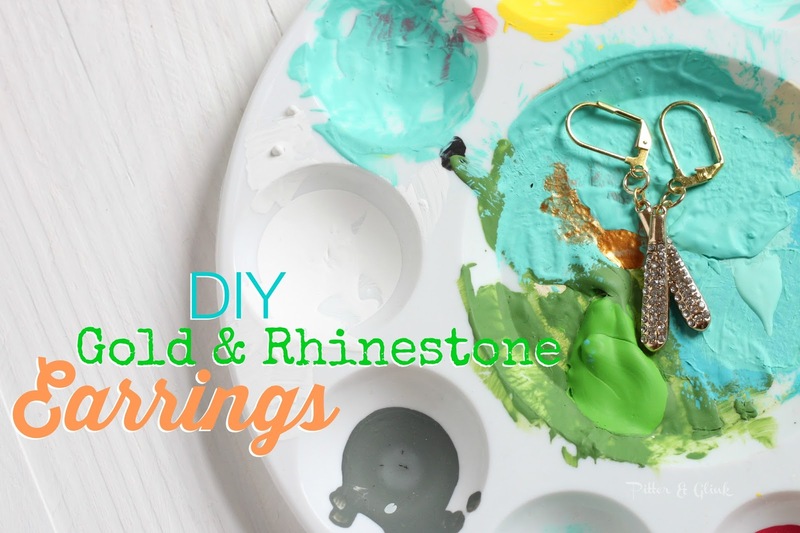 It's been a while since I shared an easy jewelry tutorial with you, so that's just what I have for you today. 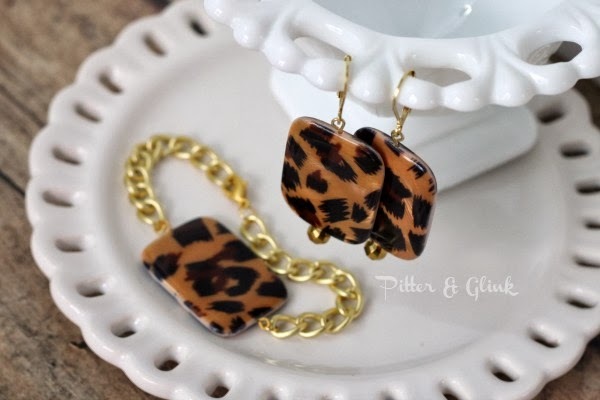 I don't know about you, but I've started liking gold jewelry more lately, but I don't have a lot of gold earrings, especially gold earrings that aren't huge. 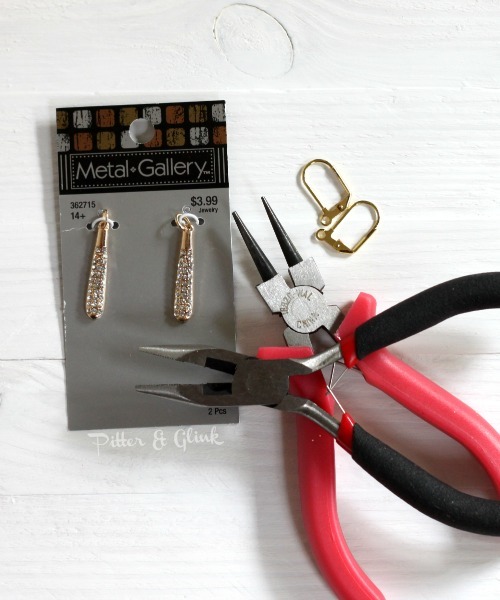 Recently I saw some gold charms at the craft store that inspired me to make myself a pair of gold earrings to grow my collection. 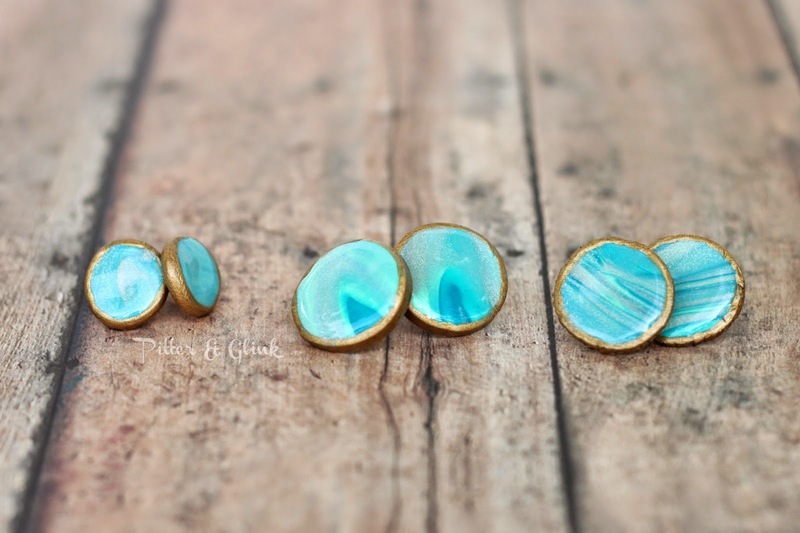 You only need a few supplies to make these earrings. You need two charms. I found mine at Hobby Lobby, and they were 50% off. You gotta love those Hobby Lobby sales, right?! 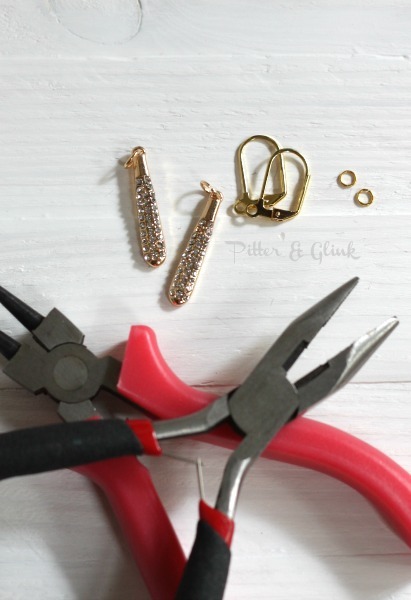 You also need earrings hooks, two small jump rings (you'll see them in the next picture), and jewelry pliers. 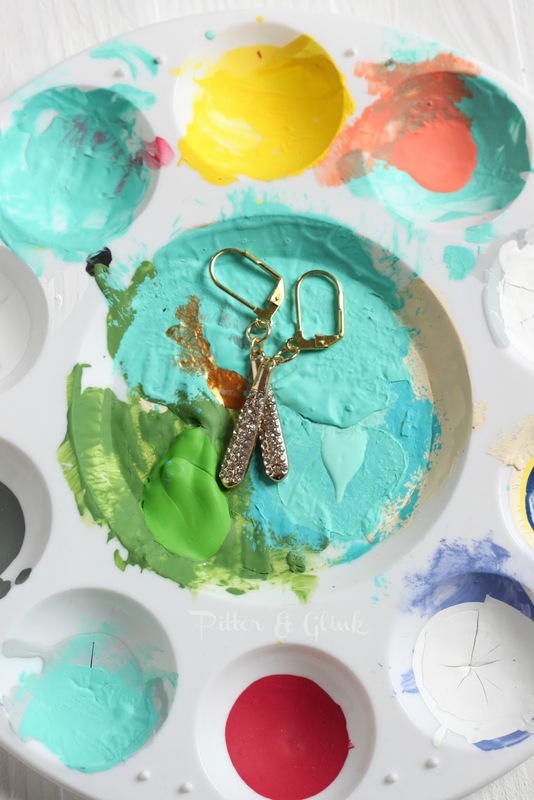 Remove your charms from the packaging and get all your supplies ready. To begin, open the jump ring on the charms and remove them. 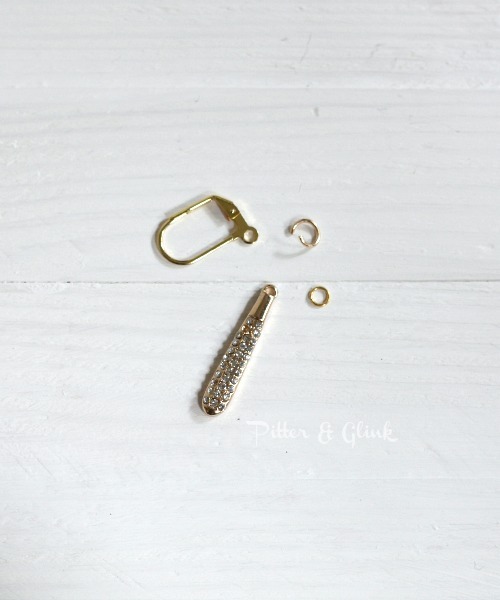 For each earring, attach the small jump ring to the charm. 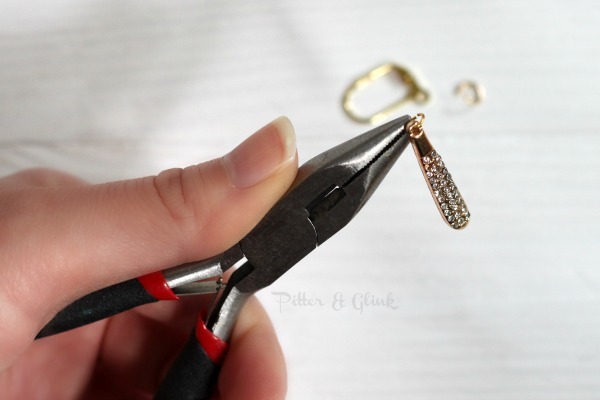 Attach the large jump ring to the earring hook and then to the small jump ring. 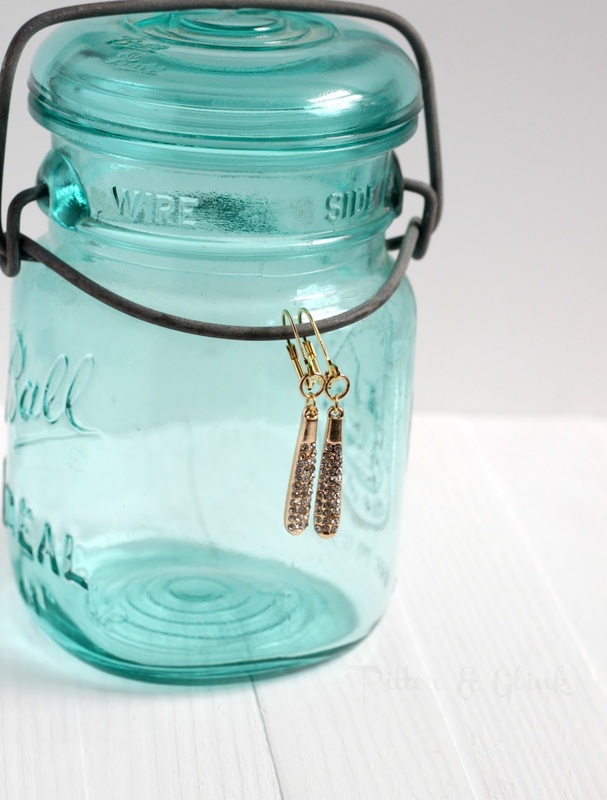 (It would be nice not to have to use two jump rings, but if you don't for these particular charms, the charms will hang sideways when you wear the earrings.) 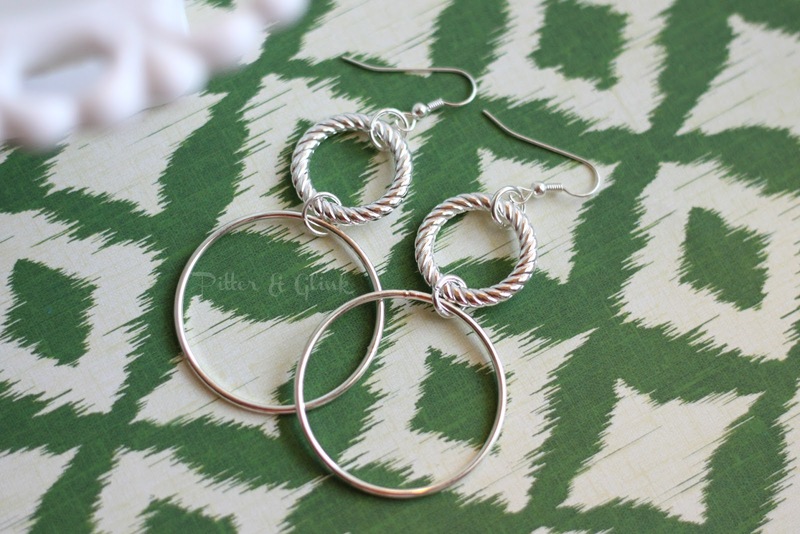 Once you close the last jump ring, your earrings are finished! I'm happy that I have another pair of gold earrings to add to my jewelry collection. Great job. 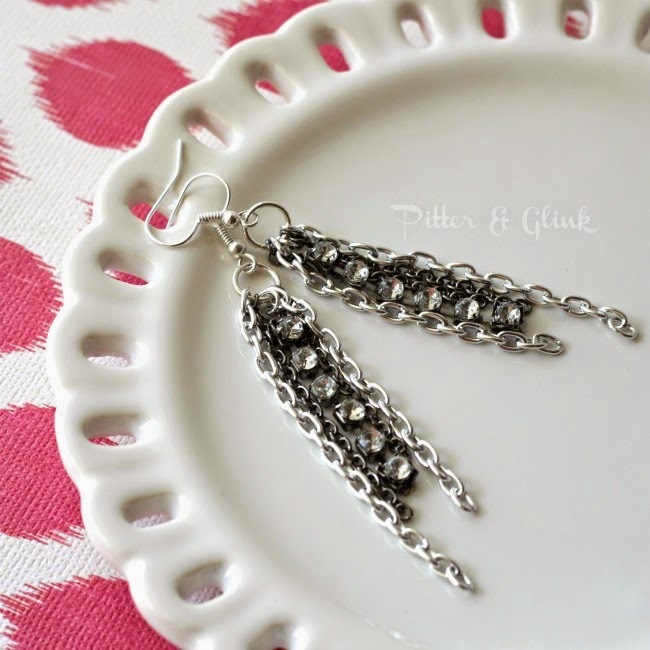 I would never have thought to turn charms into earrings. So clever!